Although journalism is most cherubs’ first love, many share another: books. As their first chapter at cherubs began, some turned to local Evanston bookstores and libraries to satisfy their literary cravings. Market Fresh Books: Market Fresh Books is not your typical bookstore. Selling its books “deli-style,” the store weighs gently used books to determine the price. At only $6.99 per pound, it’s affordable for many cherubs. “It’s really cheap and amazing for someone who is interested in getting an older copy of a book,” said Halsey Smith of Grand Rapids, Michigan. 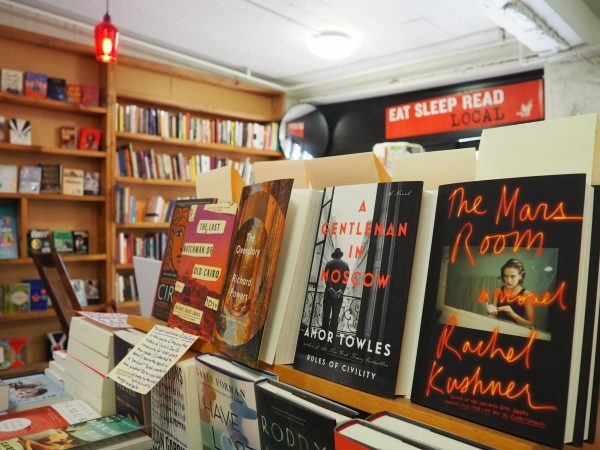 “I bought my copy of ‘The Great Gatsby’ with writing in it, which I think is really cool and different because you get to have an instant connection with someone who read the book way before you.” The store is “definitely a staple in the Evanston community,” she said.